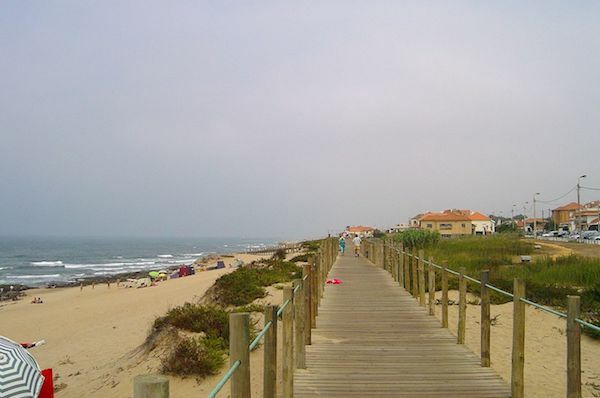 This is a wonderful beachside run of up to 20 km one-way, from the Vila Nova de Gaia on the Gaia side of the river, all the way to Espinho. There are beach and ocean views the whole way, with the run on a mix of dedicated path, roadside bike path, and wooden boardwalk on the sand. It is one long, continuous beach, although the names seem to change every 1-2 km. 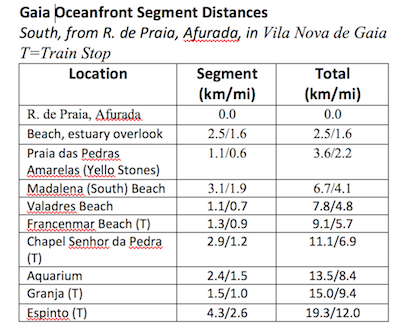 One of the great features of this run is that there are numerous points you can can hop on the train back to Porto. There are km markers along the route. We’ve included a table with segment distances. A good spot to start is on the R. de Praia (Beach Rd.) in Afurada. Run along the river road toward to ocean, with great views of the river and Porto to your right. After 1.7 km, reach the beach along a beautiful estuary path. From there, it’s a seamless run south along a succession of beaches: Lavadores, Canidelo, Valadares, Francelos, Senhor da Pedra, Aguda, Granja. At 9 km, you’ll see the train tracks, where you can hop on the train back at a station along the way. 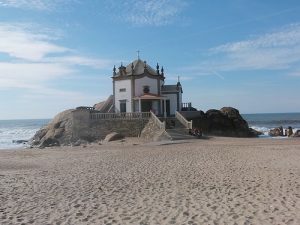 At 11.1 km is the Chapel of Senhor da Pedra, an oceanfront chapel built on rocks offering picturesque views of the beach, water & sunsets. At 13.5 km is the aquarium. Good spots to take the train back: Francelos (9k), Miramar (11k), Aguda (13.5k), Granja (15k). From Granja to the final stop in Espinho, it’s 5 km. There is beach the entire way, of varying widths. It is runnable, in sections, depending on tides & conditions.